Two BB 36300 go up to Modane since Ambérieu. Night train Paris - Briançon in the mountainous part. 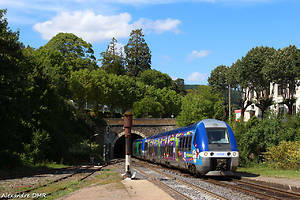 Train 61540 Publier-Ambérieu en Bugey with the BB 27137 in push.